Hello Friends, I thought I would share with you a peek of another recently completed quilt that is another example of subtle contrast quilting. 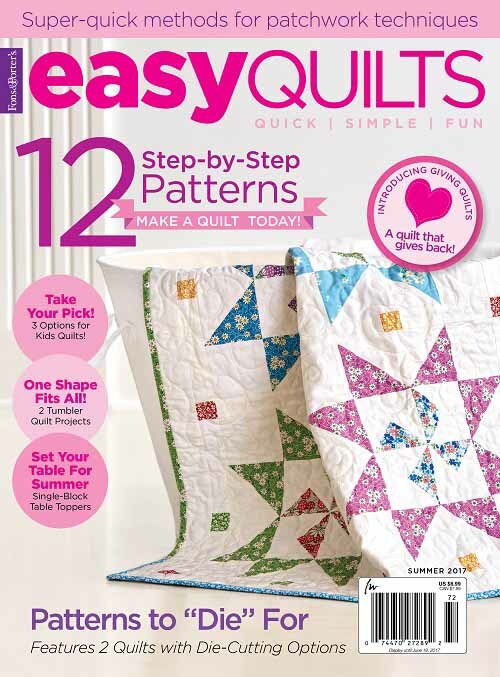 I have talked about subtle contrast quilting in the past here. 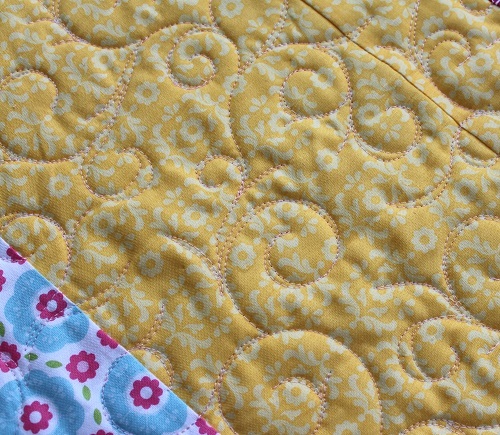 I am calling my pink on yellow quilting the lemonade color scheme. I am not really a pink person, and oftentimes my pink threads just sit in the box. So it is nice to be able to use my pink thread to quilt this sweet quilt. And come to think of it, I almost always quilt with a subtle contrast color scheme now that I have discovered how slightly different color threads add to the quilting. 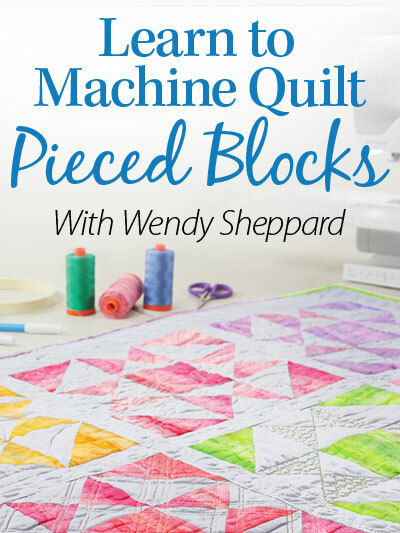 I hope this encourages you to go check out all your colored threads and see if you can use them in doing some subtle contrasting quilting! 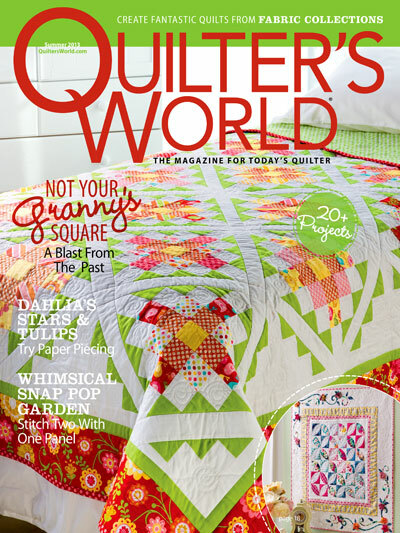 This entry was posted in Quilting, Thread Talk and tagged Free Motion Quilting with Wendy Sheppard, Free-motion quilting tips, Wendy Seppard. Bookmark the permalink. Wendy, I like the look. You’ve inspired me to try something different. Thank you. As always, your quilting is beautiful. 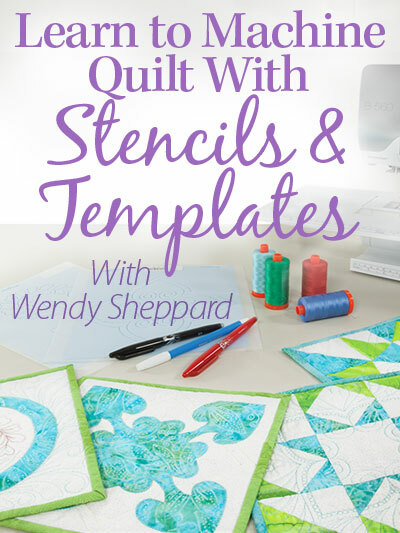 It looks great, Wendy…especially the quilting motif…it looks to me like a simpler version of what you posted yesterday on the quilt just returned from Australia. 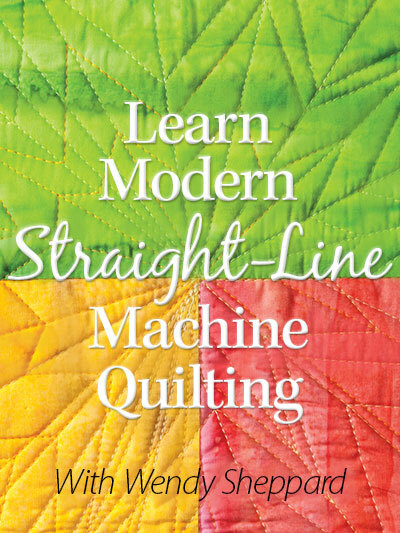 Did I miss a diagram of that quilting design? I always love your step-by-step diagrams—they are so helpful. And I’ll admit the design on that quilt is my FAVORITE one so far. I’ve been trying to sketch it but it just doesn’t look like yours. Have a great day…thanks for sharing. That shouldn’t have been anonymous…I signed into my wordpress account… silly technology messed up. Interesting as the soft contrast of your pink thread works well on the quilt. I’ll definitely try to play with more colors. BTW – What is your favorite color? Oh yes pink lemonade………..looks very pretty! That’s very sweet. I would love to do contrast stitching but I am still a coward. I go and match threads to fabric – if I have to buy 3 different colours – so be it! 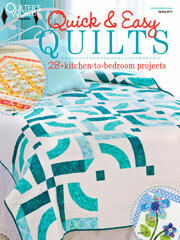 My little quilting group are gount to embark on free form quilting soon – they are all terrified! So am I! I like, I like and I’ll definitely try to keep that in mind.